Since its establishment, the Islamic Republic of Iran has viewed Latin America as a fertile ground for the export of its revolution. Tehran wants the Western Hemisphere to become a hotbed of anti-Americanism and a forward operating base for Iran. To this end, over nearly four decades, Tehran has built a network of mosques and cultural centers across the region. It aggressively expanded its base of supporters and sympathizers by dispatching itinerant preachers, who have successfully converted and radicalized thousands of Latin Americans to Iran’s version of Shi’a Islam. Rep. Matt Gaetz (R-FL), a member of the House Armed Services Committee, recently revealed that the number of Iranian “cultural centers” have proliferated in recent years, nearly tripling from 36 in 2012 to “more than 100” today. The U.S. military believes Hezbollah and Iran’s Revolutionary Guard Corps (IRGC) are using the centers to recruit locals. While testifying alongside former intelligence and White House officials before the House Homeland Security Subcommittee on Counterterrorism Tuesday, Ottolenghi went on to note that Iran has helped Lebanese ally Hezbollah to establish a “dominant” footprint in Latin America. U.S. military and civilian officials have long warned against the threat to the United States homeland posed by the growing operational presence of Iran and Hezbollah in Latin America, noting that the Shiite terrorist group generates millions of dollars in the region from trafficking illegal drugs and money laundering that it uses to fund its operations overseas. Last week, former CIA Director Mike Pompeo, U.S. President Donald Trump’s pick to lead the Department of State (DOS), warned during his Senate confirmation hearing that Hezbollah “threatens” Americans in the U.S. homeland. “It is thus facilitating their efforts to build safe havens for terrorists and a continent-wide terror infrastructure that they could use to strike U.S. targets,” he warned. Echoing other experts, Brian Katulis, a former member of the White House National Security Council under President Bill Clinton and current senior fellow at the Center for American Progress (CAP), suggested in his written testimony that Iran’s narco-terrorist proxy, the Lebanese Hezbollah group, may have established “sleeper cells” inside the United States. U.S. officials have uncovered evidence of Hezbollah-linked money laundering, smuggling, drug trafficking, and counterfeiting operations in the Western hemisphere, including in the United States. Hezbollah has never directly attacked the U.S. homeland, but there is some evidence of efforts to position sleeper cells to develop operational capabilities in America. 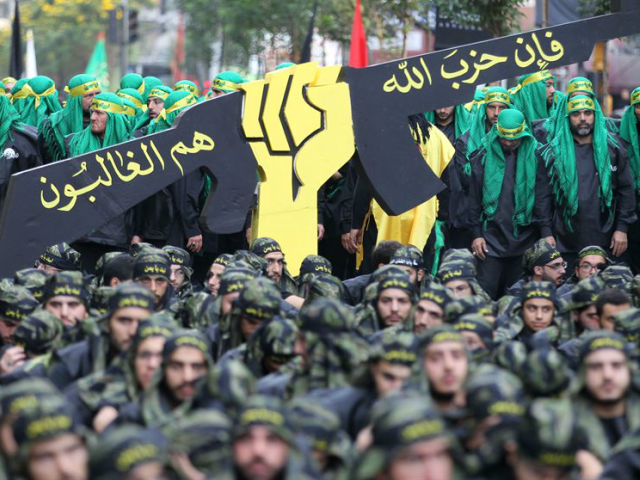 U.S. authorities have already arrested Hezbollah terrorists on American soil. The panel of experts, which also included Michael Pregent, an adjunct fellow at the Hudson Institute, and Nader Uskowi, a visiting fellow at the Washington Institute for Near East Policy, agreed that Hezbollah is capable of attacking the U.S.
Pregent previously served as a U.S. intelligence officer, and Uskowi served as a policy adviser to the U.S. military. The Obama administration ignored the Hezbollah threat stemming from Latin America. While speaking to Latin American leaders during the Summit of the Americas during the weekend, U.S. Vice-President Mike Pence also failed to explicitly address the growing threat in the region linked to Iran and Hezbollah. Iran has an “army of 200,000” militants who pose “a significant threat to the American homeland and especially to U.S. forces stationed abroad,” Uskowi testified.